Tent, yurt, oudoor kitchen, bathroom and studio. 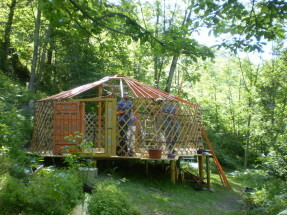 On the site there are two mongolian yurts. It is easy to unwind in this uniquely, relaxing atmosphere. 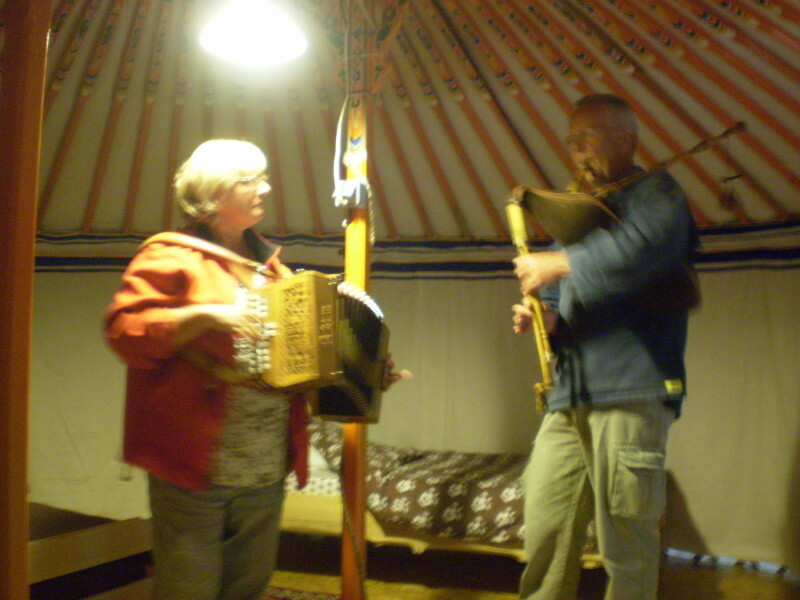 The yurts are equipped with electricity, beds and duvets. They can accommodate a maximum of 4 or 6 people. There are 4 places for tents of medium size on the site. In this way we hope to preserve the intimacy of this rural idyll and to offer an unspoilt ambience. We can offer you the use of our ‘Sibleytent’ wich sleeps 4-6 people. 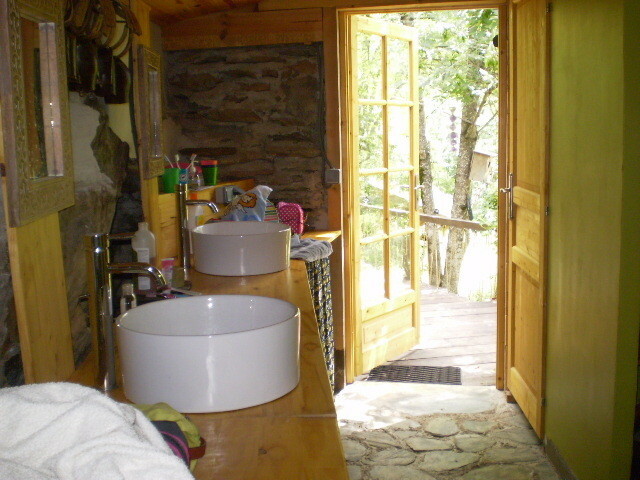 In the shared space we have two toilets, two washbasins and two showers. We have built an outdoor kichenette for the campers, wich comprises a sink, a gas cooker, crockery and pans. 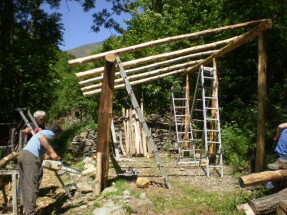 We have build an outdoor kichenette for the campers, wich comprises a sink, a gas cooker, crockery and pans. We created a studio for 2 persons in our house.